It is said that if you fail to plan, then you plan to fail. This Free eBook can help you familiarize yourself with all the must-have skills of an eLearning Project Manager. 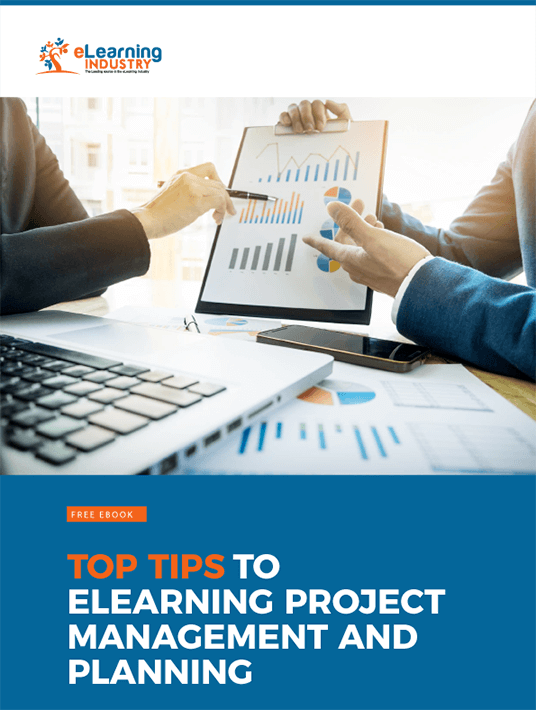 Find out about the characteristics of a successful eLearning team and how to improve online collaboration in eLearning projects, how to select the proper Project Management platform, how to start planning, determine goals, and pick up the most suitable ID Model for your eLearning project. Last but not least, how to create a realistic eLearning budget to match your expectations. Teamwork is always a challenge, especially when it comes to online collaboration. Positive group mentality is a skill that needs to be consciously nurtured. To ensure that eLearning projects run smoothly, it’s important to harness this spirit of teamwork.